BLOX Universal Air Filter - Dezod Motorsports Inc - Home of the automotive performance enthusiast since 2002. 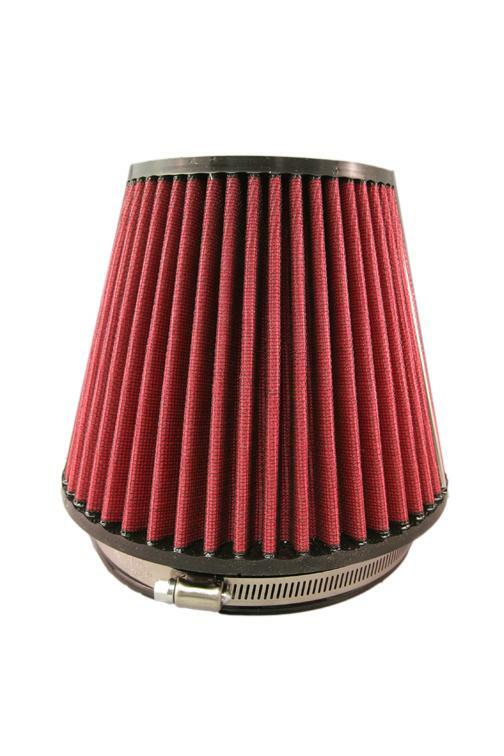 The BLOX Racing performance air filter features a high-flow, dry element filter. The dry element filter prevents any sensors from becoming soaked with oil that is normally associated with wet filter brands. The BLOX Racing filter is dyno-proven to increase horsepower and torque. The 6” base opening fits over any BLOX Racing velocity stack or can be used as an universal performance upgrade. Performance air filter kits are also available. Each air filter includes a mounting clamp.